In this 7-day clean-eating meal plan, the recipes are made with nourishing ingredients that help to keep us healthy, like fruits and veggies, lean protein, whole grains and healthy fats. What you won't find in this plan are processed foods, excess salt or added sugars—ingredients that can cause damage when we eat too much. Filling your plate with whole foods that do your body good, means a healthier and happier you. Get a BONUS Printable 28-Day Clean-Eating Meal Plan! 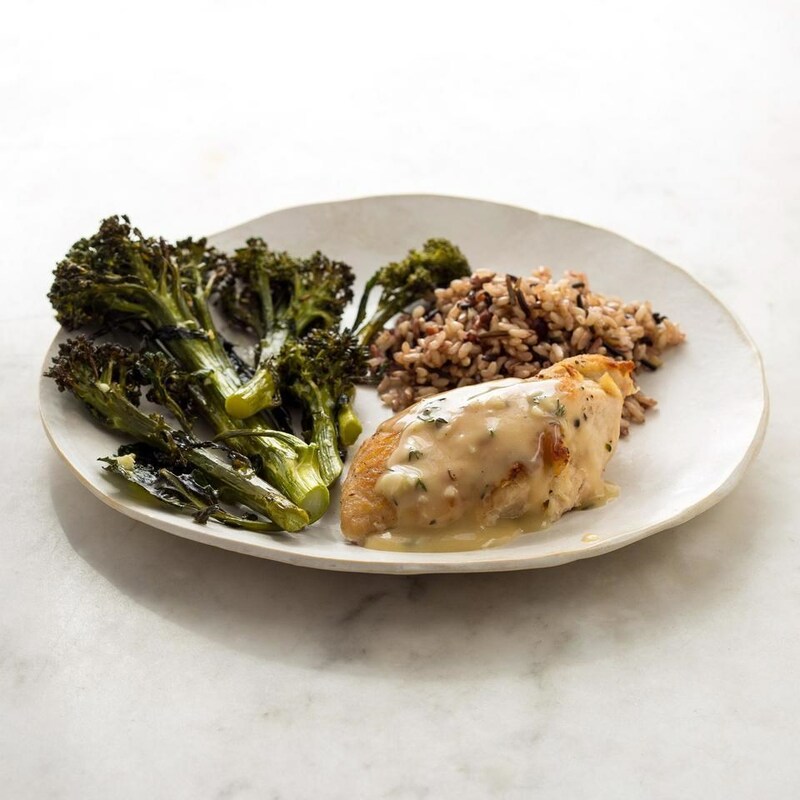 Roast Chicken with Parmesan Herb Sauce: A store-bought rice blend and quick-cooking chicken breast help get this healthy chicken recipe on the dinner table fast. Check the label to avoid excessive sodium or other undesirable ingredients. Other herbs, such as rosemary and sage, are also delicious in this recipe. 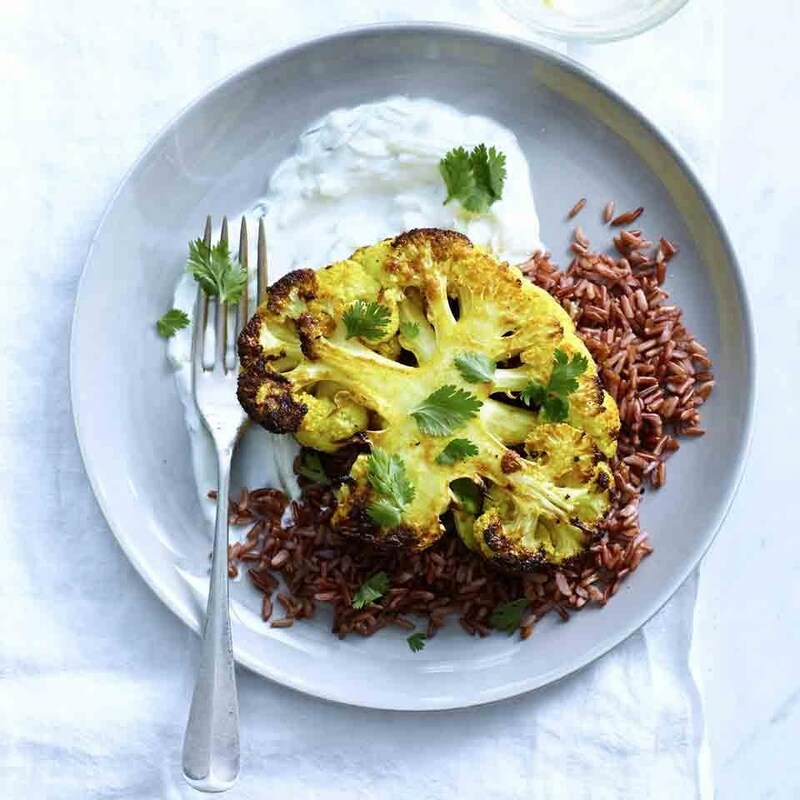 Curried Cauliflower Steaks: Gone are the days when your rice choices were limited to white and brown. In this healthy vegetarian dinner recipe, the aromatic flavor of red rice or brown basmati jibes deliciously with fragrant curry powder. Because you need 2 whole heads of cauliflower to get 4 cauliflower steaks, you'll have leftover cauliflower florets to use up. Roast the florets alongside the steaks, then toss them with some chickpeas and tzatziki sauce for a healthy lunch later in the week. 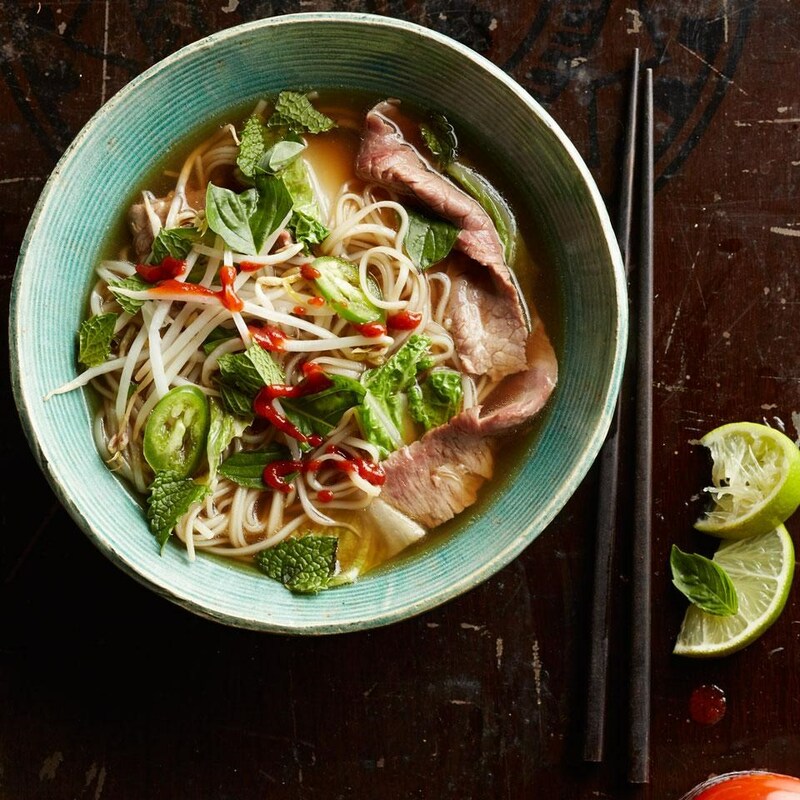 Quick Beef & Napa Cabbage Pho: Classic Vietnamese noodle soup typically takes hours to make, but this healthy pho recipe gets tons of flavor from cooking the aromatics and spices before adding the broth. Serve with Sriracha and lime wedges to finish off the dish. 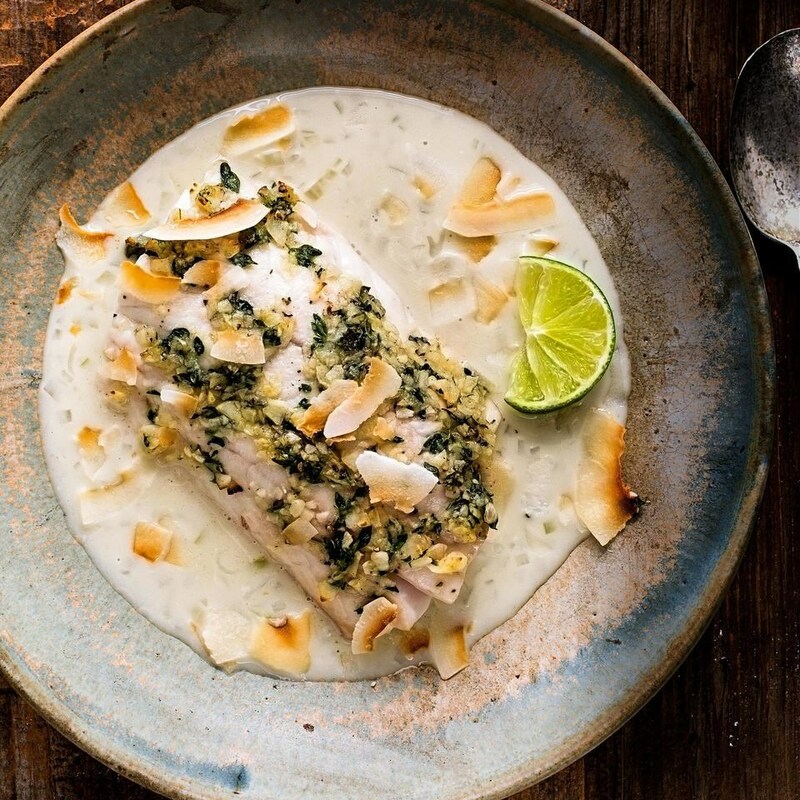 Fish with Coconut-Shallot Sauce: This easy fish recipe with a flavorful garlic, thyme and coconut sauce is perfect for a healthy weeknight dinner. Serve with brown rice, to soak up the creamy sauce, and a green salad with vinaigrette. 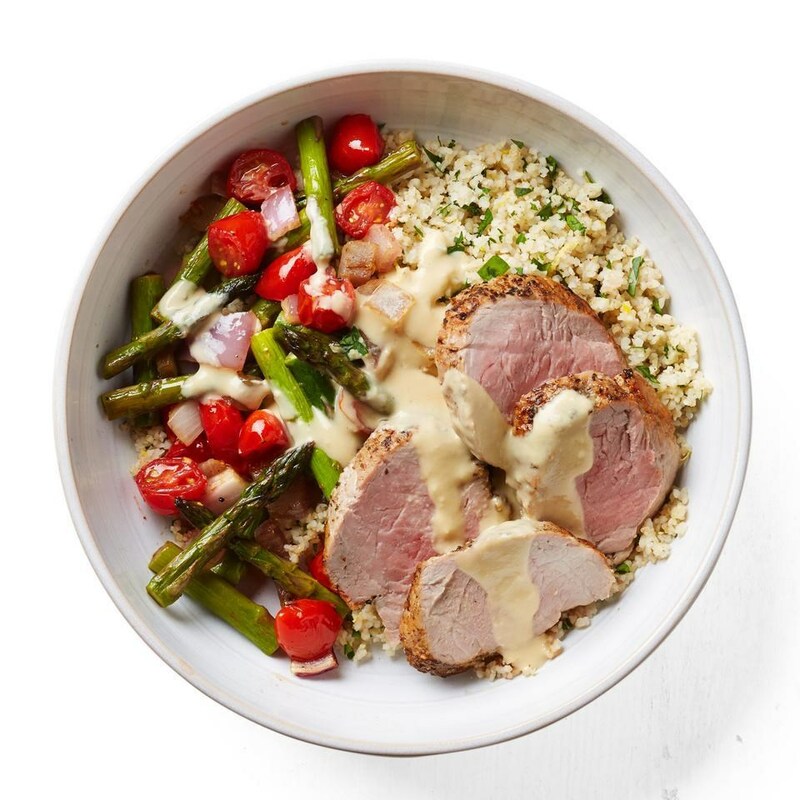 Roast Pork, Asparagus & Cherry Tomato Bowl: In this healthy bowl-dinner recipe, hummus may seem like an unconventional dressing ingredient, but here we thin it with some hot water to make a rich, creamy drizzle. 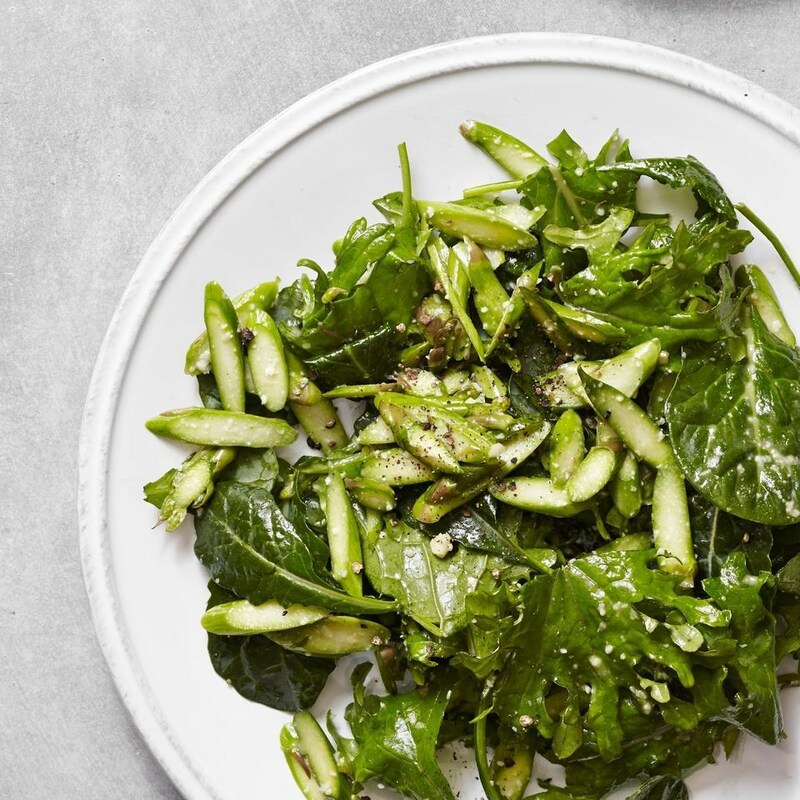 Asparagus & Baby Kale Caesar Salad: Traditional Caesar salad gets a nutrition and flavor boost with the addition of crisp asparagus and dark, leafy baby kale in this healthy recipe. Use arugula or mixed greens for the salad if baby kale isn't at your market. Top salad with grilled chicken. 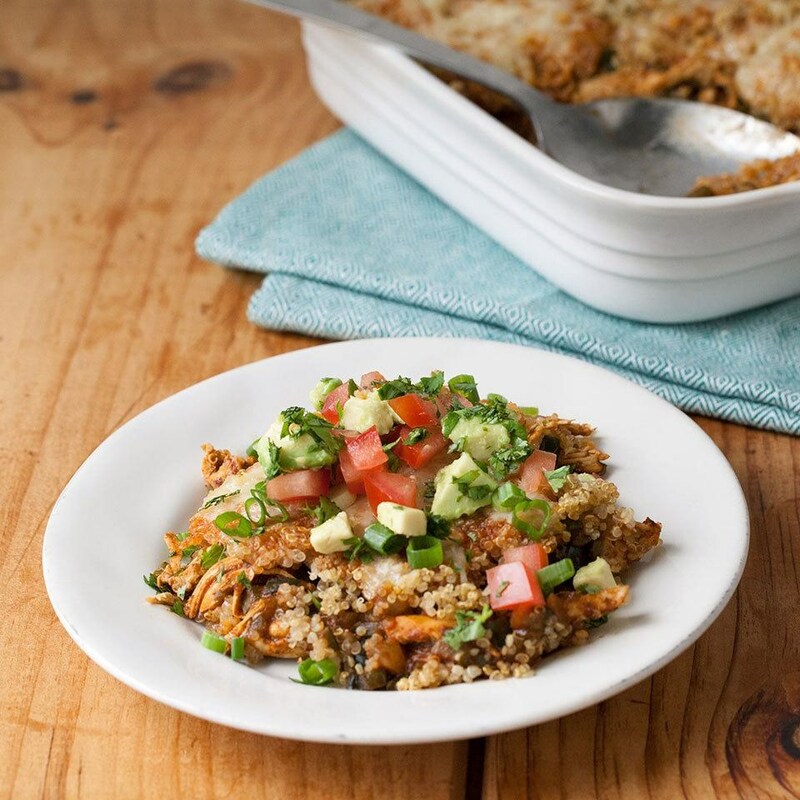 Quinoa Chicken Enchilada Casserole: Protein-rich quinoa makes a satisfying layer in this easy Mexican casserole recipe. If you want to make this dish vegetarian, beans are a nice swap for the chicken. Serve with a green salad tossed with an oregano vinaigrette.